Nepenthes x hookeriana may grow to a height of several metres. 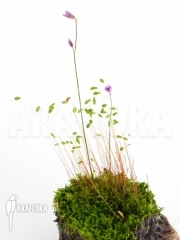 It can be grown in a hanging basket or a free-standing pot, but in either case the pitchers must have sufficient space. In such conditions, the plant will grow at a normal rate. When it blooms, Nepenthes x hookeriana will produce a cluster of yellowish brown flowers. Nepenthes x hookeriana requires plenty of sunlight, but not full sun or it will become dehydrated. The best temperature is between 15 and 25 degrees Celsius, certainly no lower than 10 degrees Celsius or higher than 30 degrees. The plant will need plenty of rainwater or distilled water and a well-drained pot. 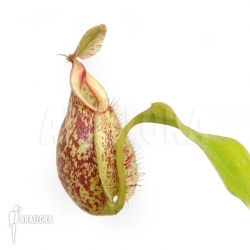 It also needs spraying regularly with water so the pitchers retain water. Nepenthes x hookeriana needs a relatively high level of humidity, thrives in neutral to slightly acidic peat and requires feeding. It can be pruned if it is in danger of becoming too big.